Summer 2010 Reading List – P.S.Q. P.S.Q. 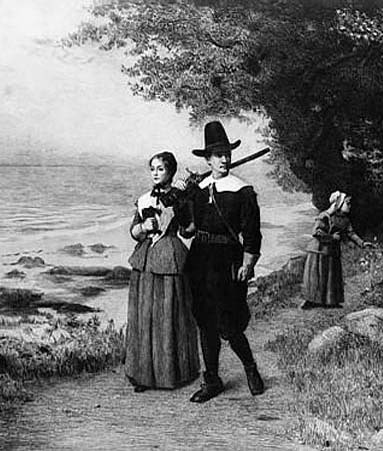 Puritans. Shakers. Quakers. My summer 2010 reading list will focus around the early colonial religious groups known as Puritans, Shakers, and Quakers. We’re headin’ back in time to when it all began here in the New World. As for the Puritans, I am going to continue my study of the life and times of Jonathan Edwards. I read a short biography of Edwards during my Israel trip and it sparked much interest in the subject. This summer I am tackling a larger biography written by Perry Miller (1949). As for the Shakers, I am reading a contemporary history written by Suzanne Skees entitled “God Among the Shakers” (1998). Skees went and lived with the last remaining Shakers in Maine and has written both a history and a first-person account of their religious views and practices. As for the Quakers, I am still looking for the book I will read on them. If you have any suggestions, send them my why. As for the WHY? Why spend your summer reading histories about early American colonialism and the spiritual climate of that time. Well…the short answer is that I want to remain a life-long learner and I love to read. Secondly, I know very little about this time period and feel like I might benefit from a historical journey. I am hoping to learn a lot about our present spiritual climate when studying our past. Going to the beginning of our American spiritual experience might shed light in our postmodern present age.